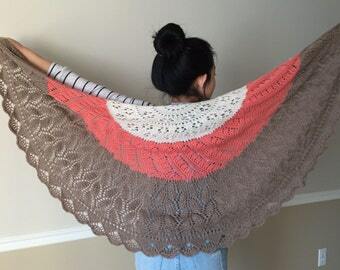 Hand knitted shawl/Wrap.Made of 100% superwashed merino wool. White,coral and beige in color.So adorable. Hand dyed Superwashed Merino Sock Yarn (80 merino/20 nylon), 425 yards/115 grams "Sweet Pea"